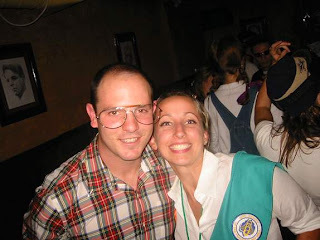 "Scotty and I [Becker] were discussing the evolution of Halloween on Saturday. It seems - and not that we're complaining - that Halloween has become an excuse for girls to wear something "naughty." 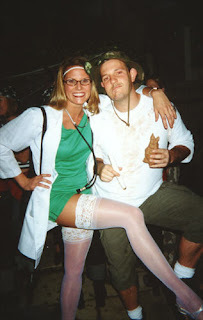 we noted that this has resulted in a phenomenon where girls seem to be able to take any costume - and make it "naughty. "...For example, we saw three "naughty" referees on Saturday night. we also saw "naughty" pirates. and even, "naughty" Starbucks baristas. how far can this go? I'd like to see someone do some work to really explore how women choose their Halloween costumes. what are they trying to accomplish?" Well ladies, how do you pick your costumes? I'm a red-blooded American male, so if things are moving towards "naughty," then that works for me. Let me tell you one person it doesn't work for though, Mr. Joel Stein of the LA Times. He has some serious bones to pick with Halloween here. Umm, Joel, come on dude. Live a little. Folks, let's hear your comments on this one. 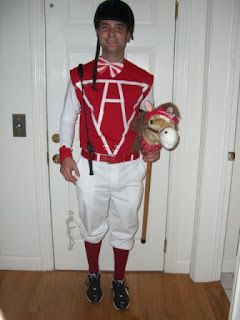 By the way, I think this might be my favorite Halloween costume of all time, Krantz as Tobey McGuire in Seabiscuit.